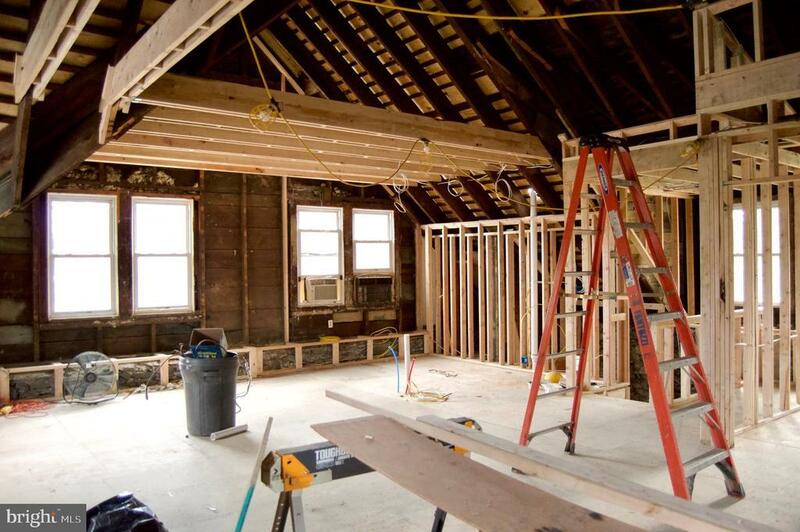 Step into this brand new gut renovation in Bala Cynwyd, available June 1st, and you~ll see why we~re so excited about it! Set back off of a quiet street, a short walk to multiple houses of prayer, buses, and regional rail lines, this reverse-living style Carriage House will boast 3 bedrooms, 2 full bathrooms, and a laundry room on the ground level. An attached garage (shared with the landlord) has one space reserved for tenants, as well as 1 car parking in the driveway and additional street parking for your guests. Have a heavy package or groceries to bring up to the kitchen? Gone are the days of straining your back, as the garage will be also home to an elevator that services the upstairs. If you think it can~t get any better so far, a large, private, and fenced-in front yard is all yours for the taking. The open floor plan on the upper level is to die for! It will feature Cathedral-style vaulted ceilings (roughly 20~ tall) with exposed beams surrounding the living space. The L-shaped kitchen will be outfitted with stainless steel appliances and feature an island workspace, two sinks/garbage disposals, a dishwasher, gas range, oven, and convection microwave for those who wish to keep a Kosher household. A 3rd full bathroom is located up top for your convenience, as well as an additional room which could be used as a 4th bedroom, office, playroom, or storage. Call Dave Eisner today to schedule a tour during the construction phase! Check back soon for updated photos as the renovation progresses.